On Saturday, March 2, from 11:00 am to 12:00 noon, Highland will host a drop spindle class. Led by crafter Russell Hubert, participants will learn how to spin wool using the traditional drop spindle method. Wool used during the drop spindle class will be provided by Highland from our flock of Dorset sheep. 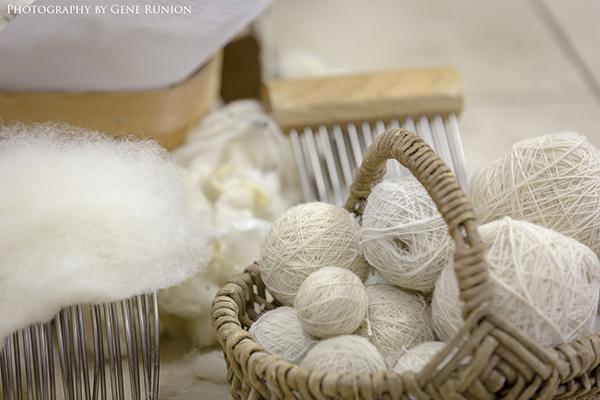 Participants in the class will learn how this wool is processed from fleece to yarn using early-nineteenth century techniques. Admission to the drop spindle class is $10 per person. Appropriate for ages 10 and up. No materials or experience are needed to participate. Drop spindle kits will be available for purchase in the Highland Museum shop for those who would like to continue their spinning experience at home! Crafter Russell Hubert has been with Highland for over 25 years. Russell was originally hired as an open hearth cook, and branched out to many other historical crafts. He mastered the historic art of paper quilling and his work has been featured in the White House and Virginia Governor’s Mansion. Russell has been hand-spinning wool at Highland for over 15 years, teaching a countless number of curious adults and children alike.